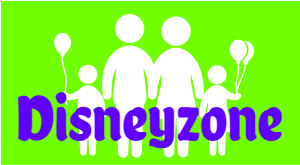 Disneyzone - Disney World Vacation Planning! A Disney vacation is like no other. It’s not a one-day vacation destination, there is so much to see and do, that you’ll need several days to even make a dent. A bit of planning is required to really benefit from all that is offered. Don’t worry, you’re in the right place! So you're thinking about a Disney Vacation . . .
How long will you stay? What is your budget? What kind of resort interests you? Are you a sprint through the parks kind of person, or would you rather stroll along and enjoy the sights? Is great food a major part of your vacation? Do you like warm weather, or would you rather go when it’s cooler? Will you want some downtime? These are all the things you should be asking yourself. You don’t have to spend a fortune to have a great vacation. You don’t have to stay for 2 weeks to have a great vacation. But to benefit from all that Disney offers, some research and planning will really help! This site is broken down into logical categories, which should help you start off in the right direction. It is a very simplified resource, and will not have the answers to each and every question, or the exact up-to-date detail, but you can get that stuff on many other planning websites. This site is designed to get you started with your planning. Give you some basics and ask you the questions that you’ll need to answer before you start. Relax, grab a cup of coffee, and explore the site. I really think that after you’ve read a few pages you will feel pretty confident that you’re on your way to planning the perfect Disney World vacation. Disney Resorts are a HUGE part of an amazing Disney World vacation. Why stay anywhere else? If you like to plan your day around what you’ll be eating, then Disney World is the perfect spot for you! Disney Theme parks cant be beat. So much to do, so much to see! Deciding when to go is a huge part of the process. Weather, crowds, pricing..